I really want to get a little bit more familiar with whatever is going on under the bonnet, so I thought to buy an old car to conduct my experiments on it. What I had in mind - is trying basic servicing by myself and, as I gain a better understanding, maybe doing some more complicated tasks (like timing belt replacement with all the implications). I have just heard that some cars could be really pain to fix/service as they have very specific/unusual layout (like some of the old French cars).So what I wanted to ask is - are there cars which considered to be easy for servicing? Kind of "beginner" cars..? The parts are widely available and cheap. There's an abundance of online information about doing repairs and maintenance. The engine is 4-cylinder inline and everything on the engine that needs regular service is easily accessible from above. Moreover, it's even possible to rebuild the engine without removing it if you really want to. There are plenty of little things that tend to need fixing to get experience on. Try to get something that is rear wheel drive, a forward facing engine and transmission is simpler and easier to work on then a trans-axle plus it gives you more room to work. Look for something you see a lot of so that the parts and knowledge is easy to acquire, but also get something that you actually want to drive. Older two door pickups work rather well. This is a bit of a localised question, but as you mention French cars I'm going to assume you're in Europe. Generally, the simpler a car is, the easier it is to fix, and older cars tend to be simpler than newer ones (less electronics, which you can't generally fix yourself). 70s cars tend to be pretty much all mechanical, 80s cars start to introduce basic electronic ignition systems, and fuel injection starts to come in towards the end of the 80s (I'm guessing those timescales are slightly different in the Americas). I personally learnt on late 80s/early 90s cars, but would say most things up to the late 90s should be ok to learn on. Avoid the higher-end stuff that'll have more to go wrong, and avoid Citroens with their hydraulic suspension. Fords or Vauxhalls tend to be quite good as they're fairly simple in their design, but they do rust easily... Land Rovers are good too, very agricultural, but you can get at everything and parts supply is very good and cheap. In contrary to Nick C I would actually recommend Citroëns. But I agree that those with hydropneumatique suspension are probably not the easiest ones. But Citroën also built way simpler cars: The 2CV for example. In many things the 2CV and most of its derivatives (Dyane, Mehari, Ami 6, Ami 8, etc. : Citroën's A models) are as easy as a car can be — and fun to drive with the soft suspension and the close-to-cabriolet feeling. Actually one of the design principles back in the 1930s was that the car should be so simple that the blacksmith around the corner should be able to do most repairs. The 2CV's mechanics are easy to understand and simple. No distributor, only two, easily reachable cylinders, no electronics at all (although some third party electronic devices may be better than the original only-electric ones). Some things are unconventional (suspension, ignition) but usually for the simplicity's sake. E.g. the (4-stroke) 2-cylinder boxer engine is rather easier than more complicated than a 4-cyclinder engine. And you can easily remove the whole engine with two persons or one strong person plus a car jack. I don't know what is your location but if Mercedes cars are popular in your area consider a Mercedes built between 1987-1995 (W124 model). They are very easy to repair and tend not to break that much. I own one since 2009 and apart usual servicing (oil, filters, battery) I had very few things to repair. Also rear wheel drive makes some repairs simplier (not to mention the fun of riding a RWD vehicle). Since they are cheap (in Poland good ones cost around 1500$) it's rather easy to find a donor car to swap engines, interior and even change from manual to automatic transmission. Vauxhall/Opel Corsa B-Type (MkII) would be the best car to learn servicing and repairs. Over in the UK, I could get one for about £200. 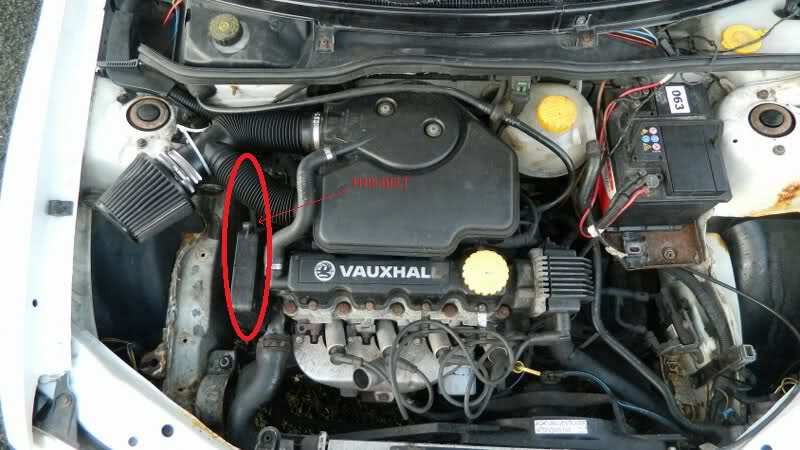 They are ridiculously easy; For example, a Cylinder gasket replacement involves removing a couple of bolts, the timing and Aux' belt, a few bolts, take off a few hoses and wires and then pull the whole thing out of the engine bay. One of the easiest cars to work on for big engine jobs. Plus, with the amount of rust these suffer with, it'll get you prepared for that side of auto-mechanics, too! ;) Plus, the filters are right in sight; You can see the air filter right there (though, it usually looks like a black box rather than this terrible, short-sighted POD filter) and the oil filter is right on the front of the engine, though I do despise these sideways-mounted filters. Fuel filter, they're usually along the frame line under the car near the fuel tank, except in the earlier models where it was on the top of the fuel tank. If you're COMPLETELY new to anything to do with working on cars, there are tips you need to learn with how to use your tools (quote on quote) properly, as things like not positioning your wrench or sockets properly on the bolts can easily cause permanent damage if you've not got replacements handy, simply because of the amount of rust. Also, make sure that you're fully loaded with Torx and those vile six-point sockets, or worse yet, those cursed triple-squares that you never seem to have the right size of. Not the answer you're looking for? Browse other questions tagged old-cars service diy or ask your own question. Is there a source assessing repairability of motorbikes and cars? What are the most common recommended “scam” repairs/maintenance? Are there “preventative healthcare” options for cars?